Pictured left to right: Greg Evans, Site Superintendent; Mitchell Ayers, Designer; Governor Roy Cooper; Al Chesson, President of A. R. Chesson Construction. Governor Roy Cooper toured Regulator Marine and had lunch at the Downtown Soda Shoppe during his visit to Edenton on Friday July 20th. ARCC has been working with Regulator Marine to expand they current production facilities. See the full article. A. R. Chesson Construction has been featured in the April 2018 issue of Construction In Focus. The article focuses on the success and opportunities found in small towns in rural Eastern North Carolina, such as those found in Edenton. We would like to thank the Boyd Agency and Roberson Heating and Air as partners serving with us in Eastern North Carolina. And deliver A. R. Chesson Construction continues to do. With $16 million worth of construction projects either recently completed or breaking ground in Edenton, the company, founded by president and owner Al Chesson in 1981, is sensitive to the needs of small communities. 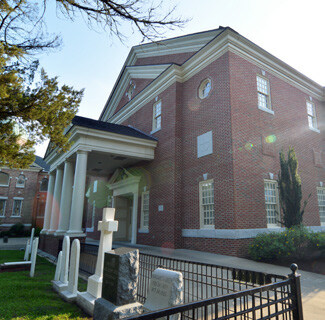 “We want to make a positive difference in the footprint and the landscape,” Chesson says, referring to work the company has done in both the historic center, such as the intricate Flemish bond brick and white colonnaded addition to the 1817 Edenton Baptist Church, new distribution centers and manufacturing facilities in the surrounding industrial areas, and volunteer projects designed to give back to the community. Named by Forbes as “One of the Prettiest Towns in America,” Edenton (population 5,500) is located where Pembroke Creek meets the Albemarle Sound. Founded in 1712, it’s the first permanent European settlement in what is now the state of North Carolina. Its historic district contains the Lane House (1719), the oldest known house still in existence in the state; St. Paul’s Episcopal Church (1736); the Chowan County Courthouse (1767); and the Barker House (1783), which commemorates the life of Penelope Barker, the first recorded female political protester. In 1774 she organized the “Edenton Tea Party” in which 51 women petitioned George III, saying ‘No’ to taxes on tea and cloth. 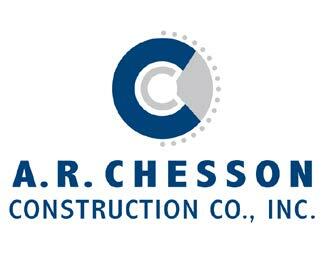 A. R. Chesson Construction’s involvement with Edenton dates to the mid-1990s, and includes serving in 2012 as the general con- tractor for the restoration and relocation of the 1886 Roanoke River Lighthouse, the last remaining screw-pile lighthouse in North Carolina. After it was decommissioned, it sat neglected on land, in a state of disrepair, but it’s now situated once again on piles within the harbor breakwater and managed as a tourist attraction by the Edenton Historical Commission. 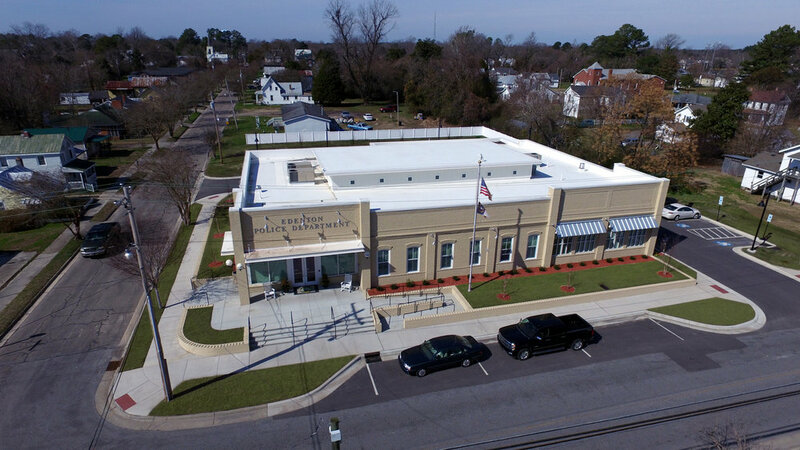 The 9,940 square foot police building, a mix of structural steel, metal studs and brick veneer, designed by Oakley Collier Architects, Rocky Mount, NC did just that. But while the exterior is traditional in appearance, the interior is a thoroughly modern facility. While Edenton enjoys its ‘prettiest town’ reputation, it’s more than just a pretty face. It’s a hard-working town whose manufacturing and distribution centers located outside the historic area are growing and providing employment, thanks to a combination of five major projects which were either completed in the last 12 months or will be completed by the end of 2018 by A. R. Chesson Construction. There’s the Colony Tire Headquarters competed in 2017, a 6,827 square foot design-build pre-engineered metal building which Ayers describes as a “combination of EIFS (Exterior Insulation and Finish System) with metal stud interior and cultured stone exterior.” Adjacent to it will be the new Colony Tire Distribution Center which broke ground in February. Owen Maxwell, Vice President Product Development at Regulator, says that business leaders in Edenton are committed to maintaining a strong economy by providing good employment in rural eastern North Carolina. Likewise, small communities like Edenton can provide the opportunity, resources, and employees to allow businesses like Regulator and Colony Tire to thrive. Adjacent to Edenton’s historic area is a 20,455 square foot design-build project to replace the Kellogg Supply Company (motto: “Everything to build anything”) which was destroyed by fire on October 26, 2016. Fortunately no one was inside when the fire started, however the 70-year old building and all contents were lost. “Once again, we worked with the town planners to make sure the design fit into the character of the area that surrounds the building,” Chesson says. While it will be a pre-engineered metal building on a concrete slab it will have a cementitious horizontal siding façade in keeping with local traditional building finishes. “In all of our design-build projects, we take a common sense, practical approach to green building and energy efficiency and we apply green technology appropriately, making it cost-effective for the owners to operate,” Chesson adds. Just outside the town and presently under construction is the Chowan County Maintenance Assembly Office, a North Carolina Department of Transportation building. Like the police department, this was a publicly bid job with Chesson awarded the contract. The Town of Edenton, through its continued relationship with A. R. Chesson Construction, has managed to realize the best of both worlds. Its cherished historic ambiance is being preserved while at the same time, there is growth and development and employment opportunities. Instead of disappearing as so many small towns across North America are doing, Edenton has bucked the trend and proved to be the exception. And in addition to that, neighborly helpfulness is flourishing. Sally Holloway, president of Chowan-Perquimans Habitat for Humanity (HFH), echoes Knighton when she describes working with A. R. Chesson Construction’s staff. “What a joy!” she says, recalling how the company chose to partner with HFH two years ago and has since volunteered to erect two houses, one in Edenton and the other in the neighboring county. 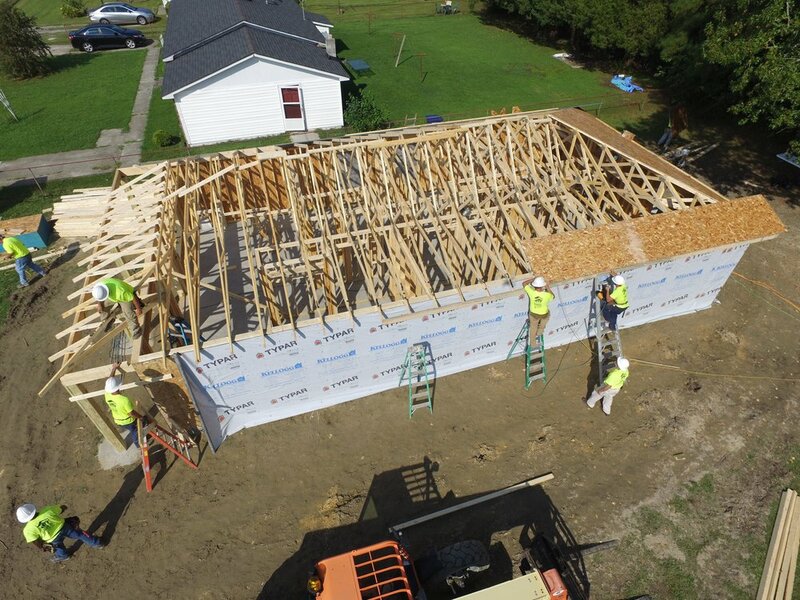 “We order kits, not pre-manufactured houses,” Holloway says, “and normally it takes our HFH volunteers weeks to put up because it’s heavy work. The kit has gotten heavier because the codes have changed. They used to be 2 x 4s but now they’re 2 x 6s, so that makes it a lot heavier for our people because most of us are retirees,” she explains. “But A. R. Chesson Construction came in with their crew of volunteers, people with the expertise to make sure it was done safely and properly. Al was leading by example, up on the roof, and to have a president and owner do that is quite incredible. They had that house framed in a day, including installing the house wrap and putting the wood sheathing on the roof so it was secure, and it was done on one of the hottest days of the year,” she shares. People in North Carolina are glad he did. The new mold storage facility is almost ready for concrete. 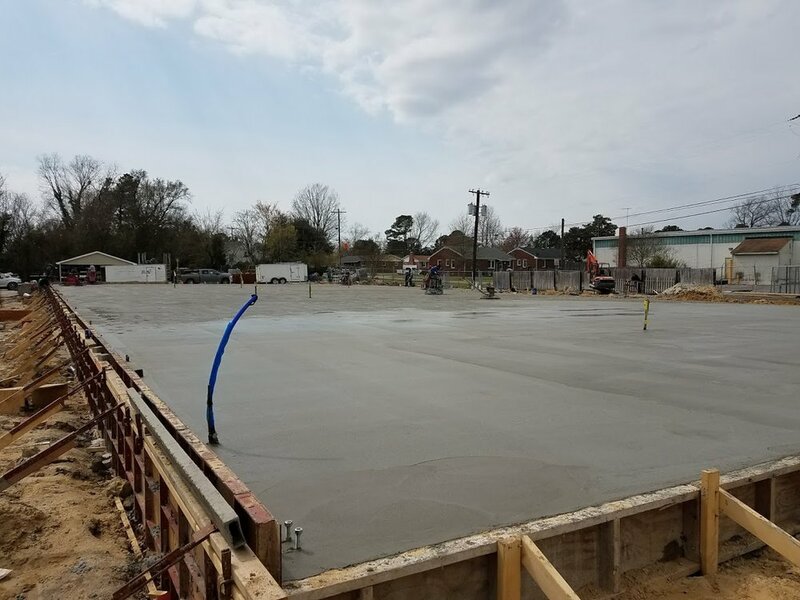 The new concrete slab has been poured for Kellogg Building Supply in Edenton, NC. 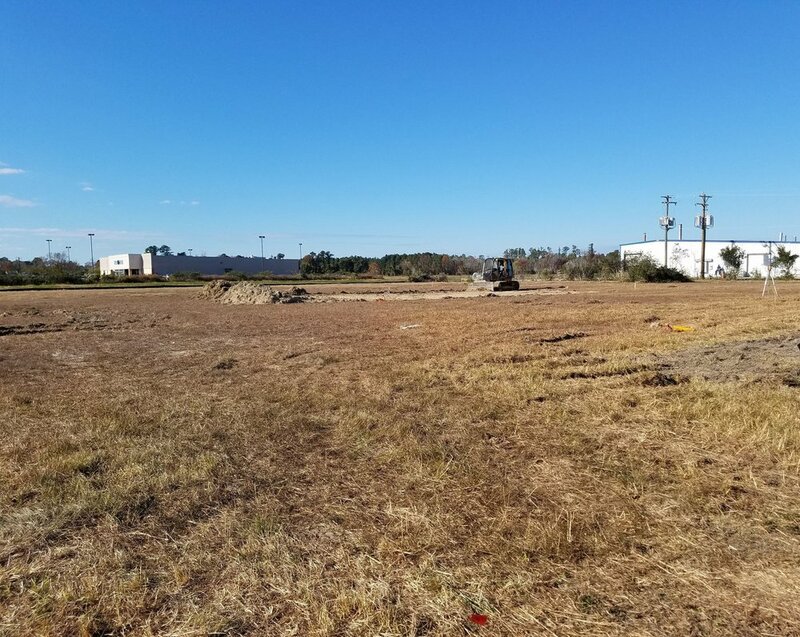 Our Pre-Engineered Metal Building division will start erecting steel soon. Check out the 360 images here or in the post below. 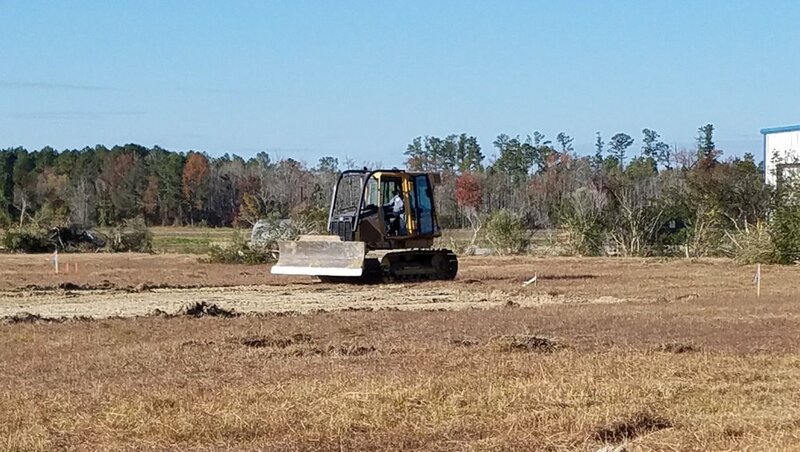 A. R. Chesson Construction, along with subcontractor Stevenson Sand, has broken ground for the newest Duck Thru convenience store in Columbia. NC. This is a Design-Build PEMB project. Duck Thru’s parent company is Jernigan Oil Company. With nearly 50 stores in eastern North Carolina, Duck Thru is a favorite with locals and visitors alike. The superintendent for this project is Kent Manning. The project manager is Doug Chesson. The groundbreaking ceremony for the new Design-Build project was held on what will be its location at 1121 Gregory Drive. Construction is about to begin for a new 9,000 sq. ft, Design-Build PEMB warehouse for Tryon Distributing. The building was designed in-house by ARCC staff. The metal building structure is enclosed with a metal stud and siding facade. 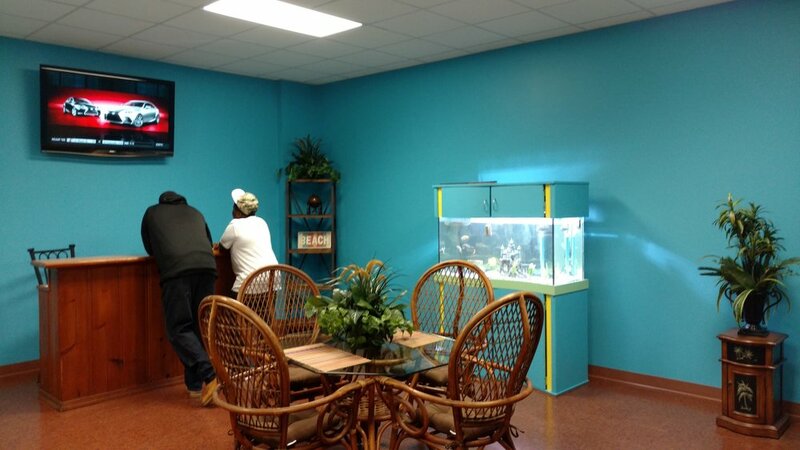 A. R. Chesson Construction Company is getting closer to completing the Dr. Banks Dentistry office. Subcontractors have begun painting the exterior of the building while the storefront doors and windows have been installed. The parking lot is graded and paving will begin next week. The expected completion date for this project is April 2017. The new office for Banks Dentistry will be a 6,500 sq. ft. wood framed building with 10 treatment rooms featuring state of the art equipment and technology for the highest quality dental care available to patients today. Dr. Jason Banks practices family, cosmetic, and implant dentistry. 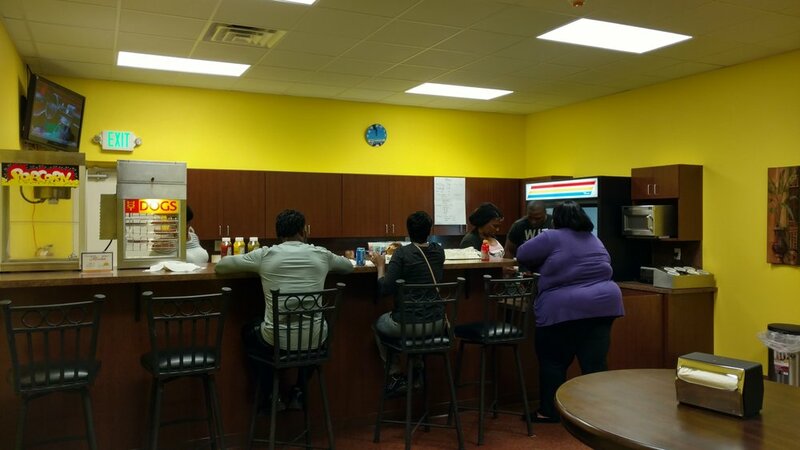 He is relocating to a business park on City Center Drive from his current facility located in the Tanglewood Shopping Center in Elizabeth City, NC. The new design-build facility will also have 1,500 sq. ft. of lease space for future tenant upfits. Adam Hughes is the project manager. 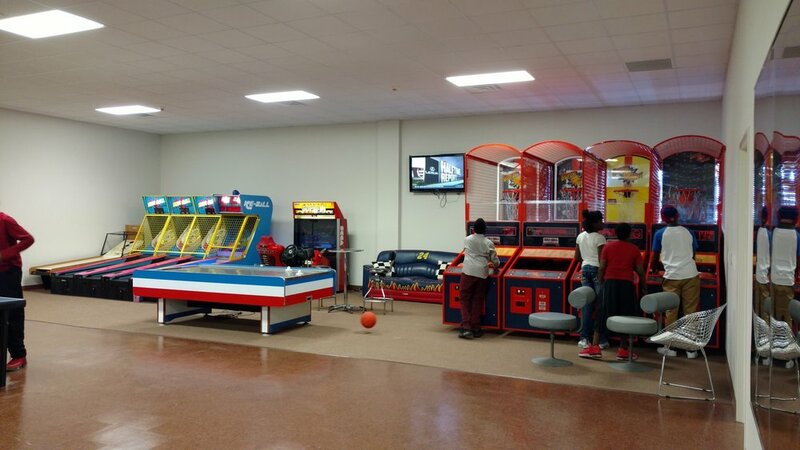 The Das Danmine Youth Center is an after school facility that serves children and youth of all ages and encompass a range of focus areas including mentoring, academic support, sports, and recreation. The after school program offeredbenefits the community by allowing the children to spend time in a productive and safe manner while the parents are at work. The overall goal for the program is to help youth improve their classroom behavior, academic performance, and even their health. 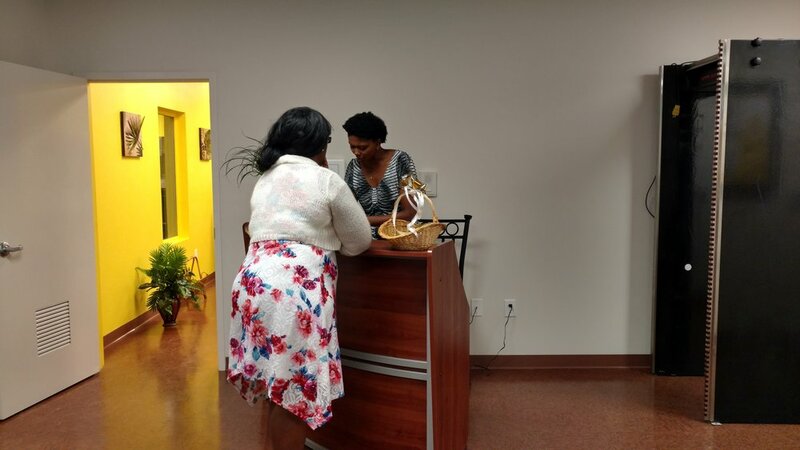 The recreational center is open from 3:30pm to 7:00pm which allows time for the children to complete their homework, ask for assistance from provided tutors, then engage in recreational activities. 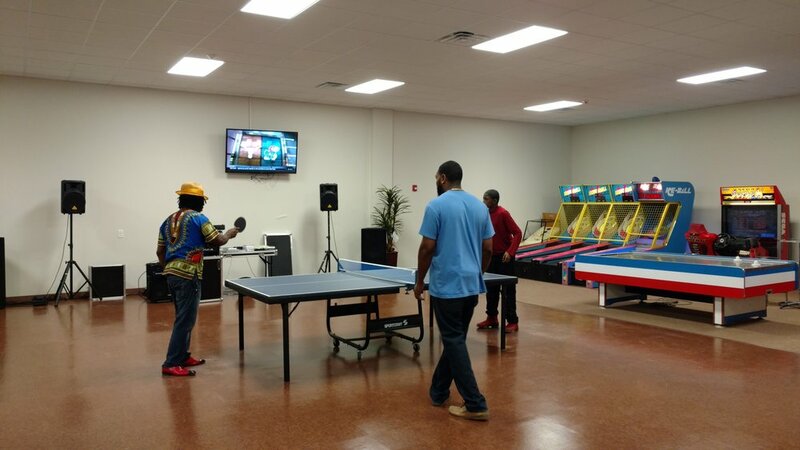 The Das Danmine Youth Center held its official Grand Opening on Saturday November 19th. 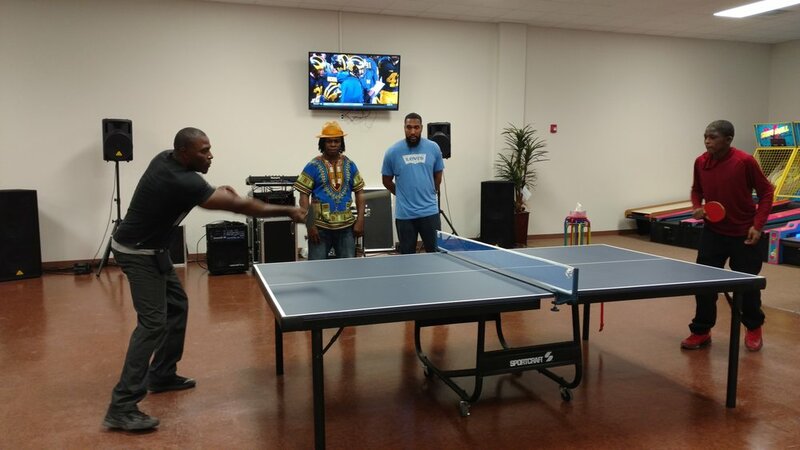 Children and youth of all ages throughout the local community toured the after school facility, while also engaging in a few recreational activities which included ping pong, arcade games, basketball, and even an inflatable bounce house. Site work has begun for the new eleven room addition to the Carolina Rest Home in Roanoke Rapids, NC. The addition will add 5,286 square feet. The project manager is Will Gautier. The superintendent is Steve Richards. The concrete slab is almost ready to be poured at the new China King location in Gatesville, NC. The SPCA of Elizabeth City is complete and is currently providing shelter for many furry friends while they await a good home. The new shelter is based in a former commercial building the SPCA acquired from Phillip Harrington Enterprises for $300,000 in September 2011. A new south side addition to the building features numerous dog runs and a laundry room. The expansion at Forest Park Church has completed. The new corporate office for Colony Tire & Service will be a 6,800 sq. ft. pre-engineered metal building with brick veneer located next to their existing facility on Broad Street in Edenton, NC. The new building will be the corporate headquarters for the company which employs approximately 500 people throughout their 25 commercial and retail stores in three states, four distribution warehouses, and tire retread plant. Colony Tire & Service was ranked #47 on Grant Thornton’s list of top privately held companies in North Carolina in 2015. The project manager is Adam Hughes. Expansion of FedEx facility. Completed in 2015.